Click to grab it from The Org. 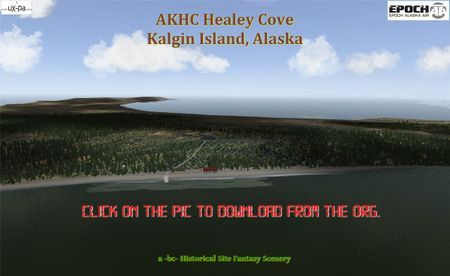 Click on the Pic to open the PDF in your browser or Right Click and choose "Open Link in New Tab" or "Copy Link Location" to download to your computer. V10 ONLY! "apt.dat" replacement file for Phase IV (Version 4.1) below. 08/30/15 - Version 4.1 with Fixes & Adds. Click on the Pic to Download. Our very own EPOCH-Modded Porter. Click the Pic to get it from the Org. 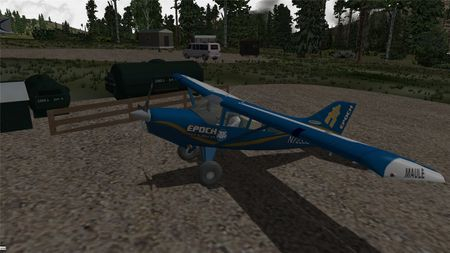 X-Hangar's Bush 360 Xplorer 'Light Steel Blue' Paint Job! 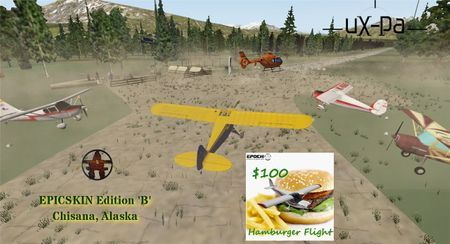 Click the Pic to get the Download from X-Plane.org. Free membership required. Click the Pic to get the Downloads from the Org. 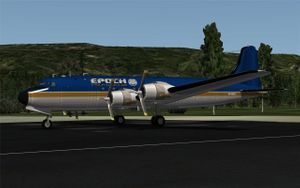 Member bminton has graced us with a very special paintjob for an important addition to EPOCH Alaska Air. 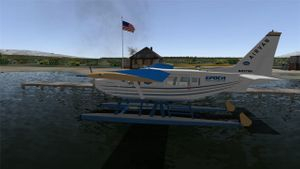 The SkyTug is owned by EPOCH Worldwide Holdings, so it doesn't become a part of our regular fleet, but it is available for use. 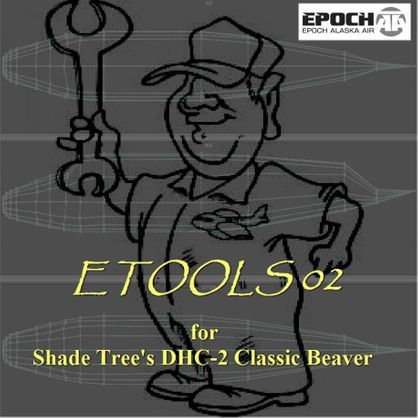 A "Must-Have" for EPOCH Pilots. 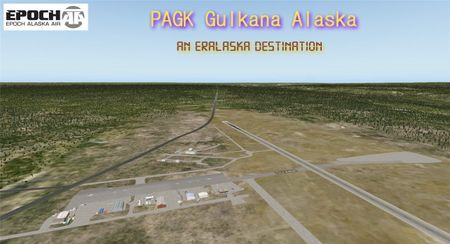 All ERAlaska Destinations are included, from the bundles to the stand-alones and the ones we use from other developers. EPOCH Contract Scheduled Service locations (like UGP) are not included here, as they have their own map on the way. Click the Pic to grab the High Resolution, zoomable .png map. 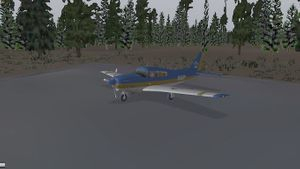 Click the Pic to get it from X-Plane.org. Membership is free. Our new Toolbox Build Team, bminton & bc are pleased to present you with our very first offering. 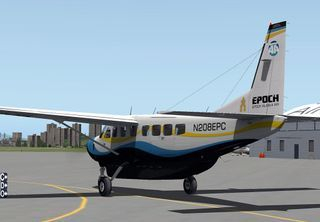 This toolkit is chock full of neat mods, fun skins and a major re-work of the many-mission Twin Otter - the very one just released by our VA Partner, X-Hangar. Click the Pic to get it from the Org. Membership there is required (free). Member tlbt has come along with a very lovely EPOCH flagship paint for this great chopper. The paint has been fully sanctioned by the model builder, DMO. 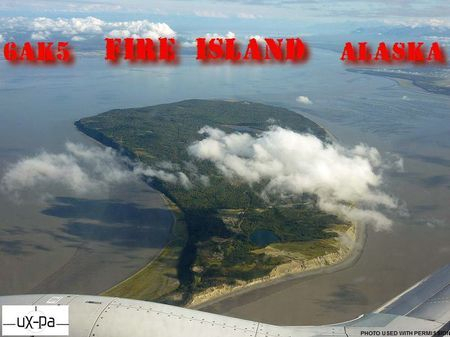 A Full-Featured build of Fire Island, just off the coast of Anchorage in the Cook Inlet. It is the site of a major windfarm project. 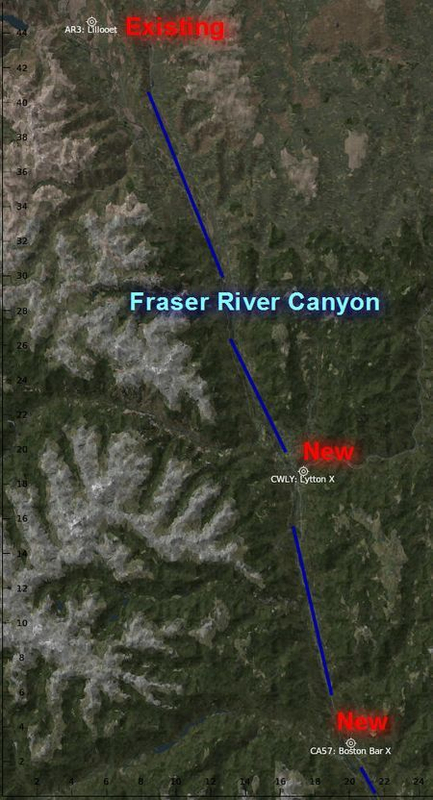 Two new facilities, both decommissioned airstrips, along the most harrowing part of the Fraser River Canyon. 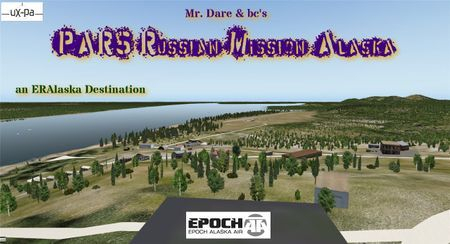 GET THE DOWNLOAD HERE AT THE Org. 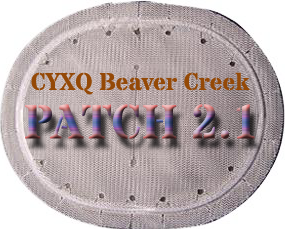 This is the 3.1 version of Beaver Creek with fixes and separation for Version 10 as well as additions and aesthetic tweaks. This file replaces all other Beaver Creek Custom Scenery files in your folder. The long-awaited expansion has arrived. While Phase III has only 1 tenant and a guest lot, much of it is still under construction - slated to be complete in the Spring of 2015. 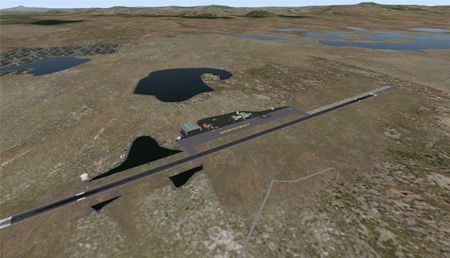 We also hope that the main runway lengthening proposal will be a 'go'. 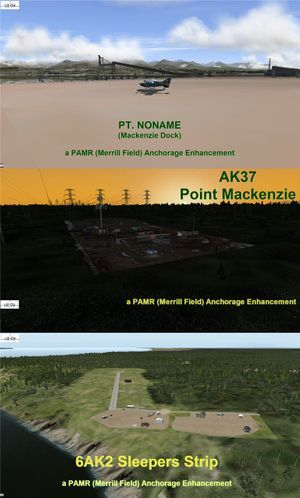 There are too many improvements to list (see Readme in the download) but the highlights are a paved main runway, a new crosswind dirt runway, increased industry and townsite; even the farmers have been attracted to the area. The Full build is rich in features but heavy in frame rate consumption. The Lite build has eliminated grass, many forced forest areas, field overlays and other frame-eaters. Pick the one that best fits your gear. Member Toby Rice's friend, Peter Hürzy, has kindly done a lovely standard theme livery for this great and just recently updated aircraft by Gerald Rader. Thank You! 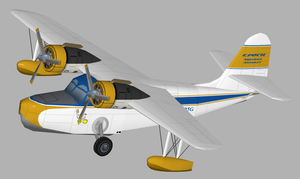 How about another very timely flagship livery for the newly 'spruced-up' X-Hangar PA-18-150 SuperCub. rick.hudd has graciously supplied us with this in two variants - a Canadian and an American registration. Click the pic! 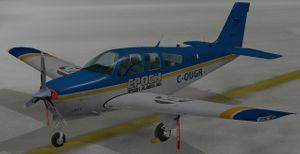 X-Hangar's new Maule M-7 has been dressed in the traditional flagship colours with some fine artistic expressions including re-coloured seats and more. This comes compliments of our very own NightFlier, Member rick.hudd. New Version: 09/14 - Adds functionality to the M-7 TEA Version. 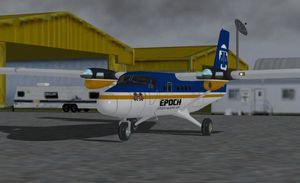 Member bminton has once again provided us with another awesome livery. This one covers the standard and amphib versions of the craft. Click the pic! The text on the fuselage reflects the cargo variant with this great paint. As with the above, US Reg. only. Files contained in download above. 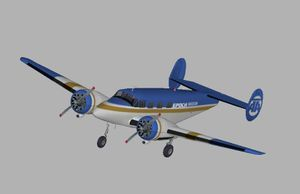 This is one of the retro series to reflect the age of the aircraft. This is a keeper for sure. 2K & 4K with US and CAN registrations. Click Pic. This is one of the retro series and even has a panel modification that adds authenticity. 2K & 4K with US and CAN registrations. Click Pic. This is a highly modified file from the original "Skwentna River" that Zymurg modeled the raw data points for and bc supplied the texture. 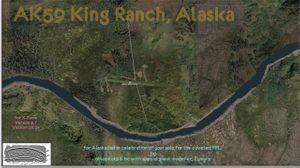 This Version 2.0 file now extends into the hills a bit, west of PASW Skwentna, goes all the way to the Susitna River and is bezier-curved with new textures into the river valleys for a pleasing look. 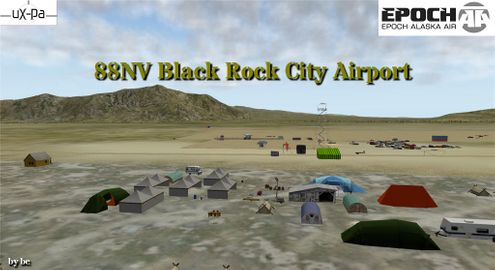 A must for good VFR landmark navigation. Click the pic to get it from the Download Manager at the Org. Not for Version 10.x users. 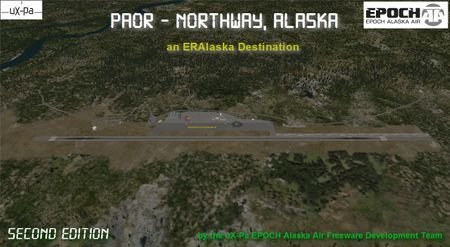 Another addition to our ERAlaska Destinations and a great GA Private and Commercial Operations airport. Click the picture to get the link to the Org Download Manager. 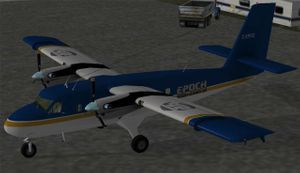 The B200 makes it's debut as an EPOCH Worldwide Holdings aircraft with these fine liveries by Member bminton. 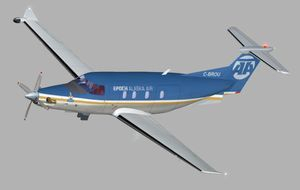 Included in the zip file are 2 paints - one with a Canadian tailnumber and colour scheme, and one with an American. Version 9 and 10 files included as well. Nice to see the stunning art from Mr. Minton again. Click the pic to get the livery from our uX-Pa storage farm. 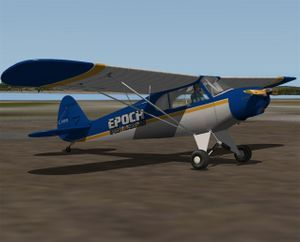 RocLobster has provided those pilots of the freeware Goose with a real nice EPOCH A.A. livery. Enjoy for V9 and 10. 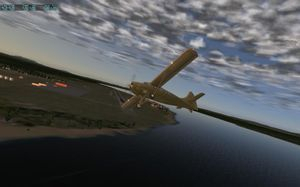 Click the pic to get it from X-Plane.org. Rocky hits the paintbrushes again with this gorgeous rendition of our EPOCH New Theme for this craft that is growing in popularity and use. Click the Pic. 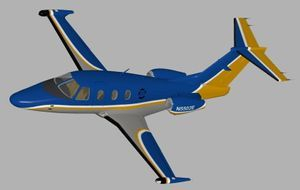 RocLobster has brought our primary livery theme forward (plus a bonus paint) for this fast executive jet for X-Plane V-10. Another fine job! Click on the pic for the .Org download. 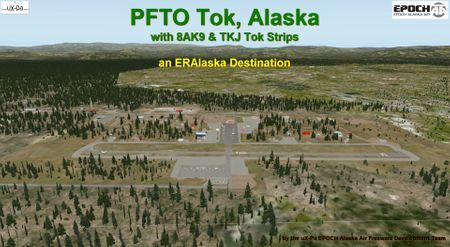 Members tlbt and bc have joined forces to bring EPOCH Alaska Air a location specifically designed for helicopter training. Under the technical guidance and testing of member gofigure (our Helicopter Specialist), this facility has come to life and should provide many hours of enjoyable (and intense) training. Please be sure to read the included documents and User Guide. 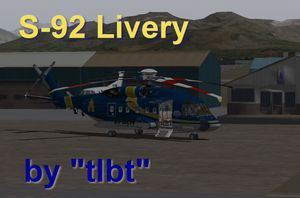 Our member, RocLobster has created yet another fine livery for our fleet and this one is a work of art. 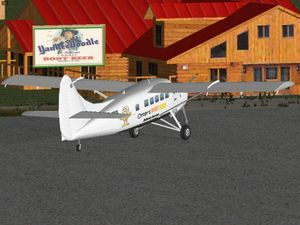 It covers all 9 variants of the dHC-3. 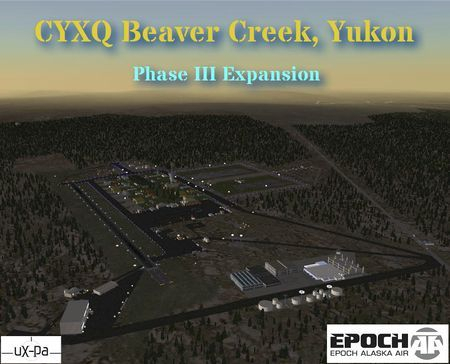 CYXQ Beaver Creek was to be repaired in the late summer by moving the PAPI lights further infield to avoid the new entry to Runway 14. This patch addresses this as well as fixing the Tower Viewpoint. The fix is needed now to allow another asset to come into play soon. Instructions for installation are included in a text file within the folder. The .zip file may be downloaded by clicking on the picture above. A fun livery for this great Otter, it sports a 'root beer' theme, compliments of member Toby Rice. Click on the pic to grab it now. Welcome to Northway, just a half hour leisurely trip from CYXQ Beaver Creek. 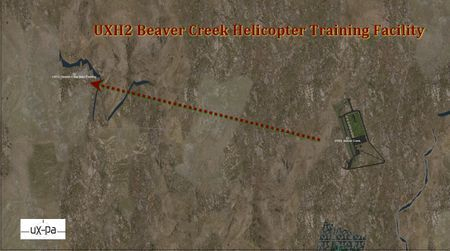 This destination has been developed now to provide a longer runway with the closest proximity to Beaver Creek possible, allowing large or fast aircraft to use this VOR/NDB equipped facility and then taking a smaller craft for the short hop to "The Crik". There are two versions available. 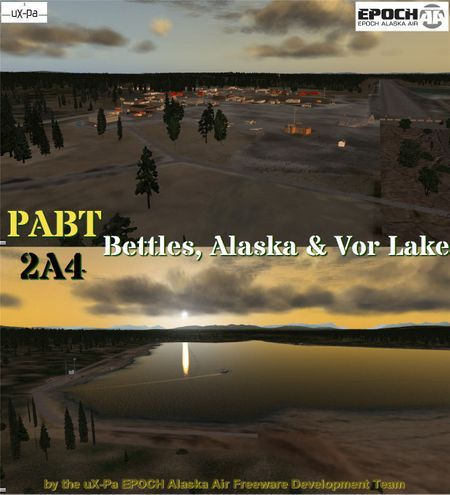 One is for V9.7 (but will work in V10 although missing water assets) and the other V10.25+ only (with added water for local lakes and Yarger Lake for float access to a Customs station). You will need Open Scenery X library installed to properly enjoy this facility. This is a significant update to our newest EPOCH Hub. 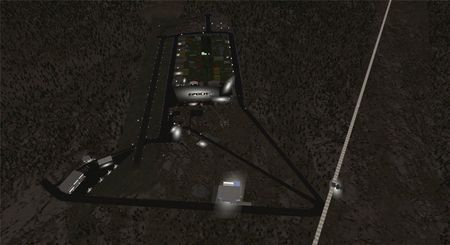 It now includes access to Runway 14 from the EPOCH taxiway as well as a new Helicopter Training Facility and separate helipad. Many additional features. Be sure to check the "readme" file in the Documents folder after unzipping the download. Click the pic to grab the file! Hardworking member RocLobster has managed to squeeze in enough time to build us this brilliant livery for this remarkable aircraft. Click on the pic to get it from the Org. 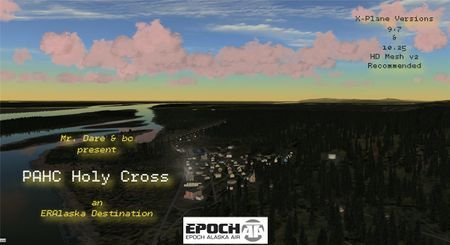 This is the complete scenery package for V9 and V10 for EPOCH's hub, just inside the Canadian Border. 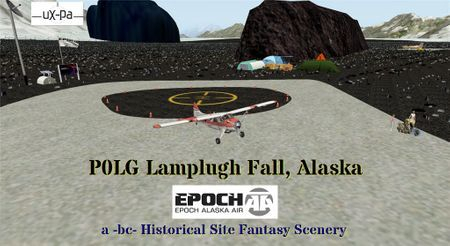 It has an airpark for our regular pilots and a guest spot for others to build on. 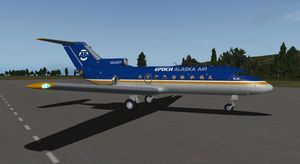 The UNK theme has really been taking over our VA paints and thanks to Altair43, the DC-4 has now been treated to this fine livery. Click the pic for a trip to the Org. Well, you just can't get enough paint schemes for the VA for this beauty. 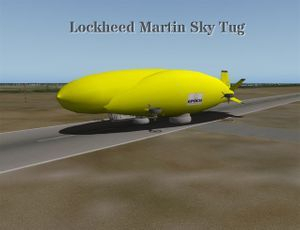 We all seem to fly it and thank drumbum424 for his work. Click the pic to get it from the Org. 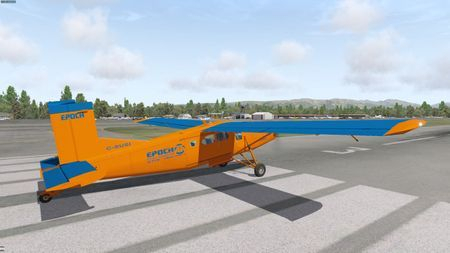 drumbum424 is working hard to keep the theme alive and to this end has wrapped this frame-friendly aircraft in EPOCH colours. Click the pic to get it from the Org. Altair43 keeps the Unk Theme alive with our first paint for this fine wheel and float model from our friends at Carenado. Click the pic and get at the Org. 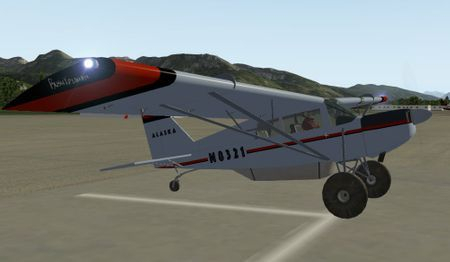 Another fine Altair43 paint of our flagship here at EPOCH. 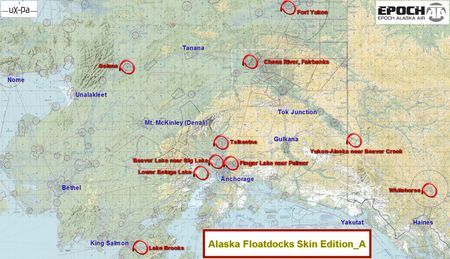 The same scheme (I'm calling it the Unk Theme) for one of our hubs, Unalakleet. Click the pic to grab it from the Org and leave a comment if you will. 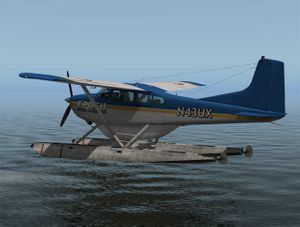 Altair43 turns his attention to this lovely bush aircraft next. 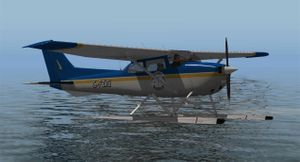 See the VA for more liveries of the Cub and other aircraft. 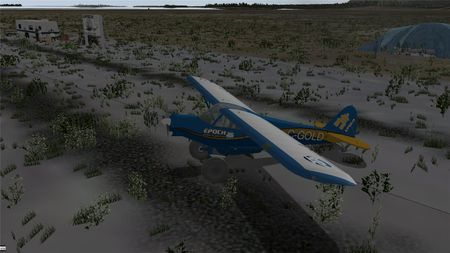 Click the pic to the left to get this from the X-Plane Org DM. 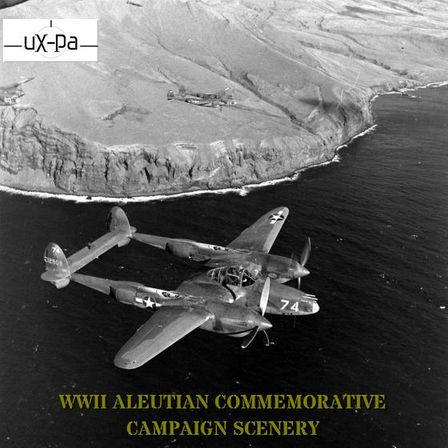 See the Forum for links to the aircraft. Altair43 has dressed this much-used aircraft up for EPOCH in his usual pristine style. Click the pic to grab it from the Org's DM. Once again a Carenado aircraft gets treated to a fresh new VA paint, this time by our very own Altair43. Click the pic to grab it from the Org's DM. 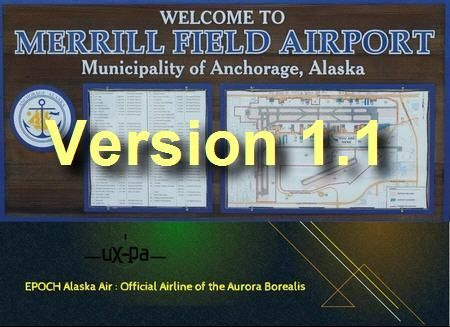 The long-awaited plugin to 'fix' wave effects, ground ops exaggerations and runway friction exaggerations in X-Plane Versions 9.7 and 10.x. Click the pic to grab it from the Org's DM. 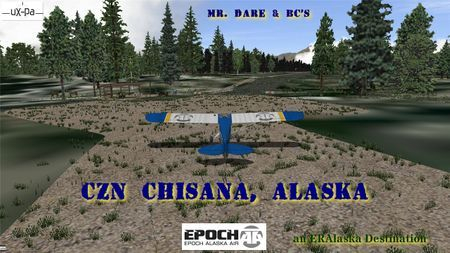 This is the site where one of our long-time members, Alaskadad, has been training for his PPL and this was a Solo gift for him and all. Click the pic to go pick it up at the Org's DM. Temporary Patch to Display the OAT (Outside Air Temperature) Gauge in the Carenado Cessna 185F v2. Click on the button to the right and then unzip the file and put it in the C185v2 aircraft folder in the Objects Folder, replacing the file if asked. Please note that the accessories haven't been "EPOCHed" yet... that will come shortly. 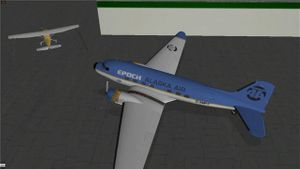 Our main livery however has been adjusted to work with the Version 2 file, just released today (June 14, 2013). Special thanks to Dan Klaue. 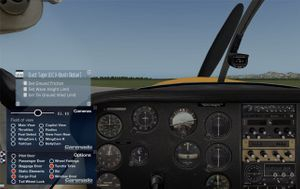 CUSTOM METARS (including Help Files) for INSTRUMENT FLIGHT TUTORIAL below (compliments of one of our uX-Pa members) - Perfect for building proficiency. 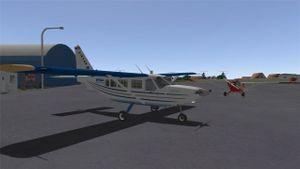 Please see the same Forum Thread if you wish to participate in relief simflights and donations to help the residents who have lost almost everything. 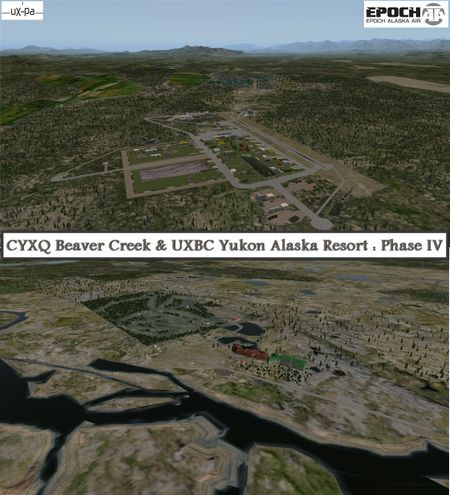 If you've been aching to fly proper winter textures in X-Plane Version 10 (or as an alternate to Winter World in V9.7), then this is the file for you. Inside the zip file you will find a number of resources. The actual script/texture system for the package is the primary unit. 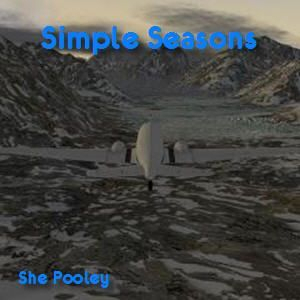 There are however the X-Plane plugin code files from Sandy Barbour (and his website & description) to link the Python code of She Pooley up with X-Plane. 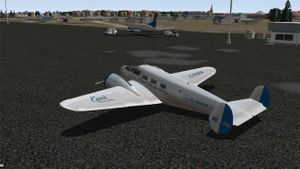 You will also find page captures from X-Plane.org, from the Download Manager there, that describes the install process in detail and also any issues/fixes to date. Enjoy! This is a top-rate package that deserves a 5 star nod. Head over to the Forum, where you will find a Support Thread for this, and also an opportunity to converse with the author of this fine add-on! Please read the copyright and credits file once unzipped. 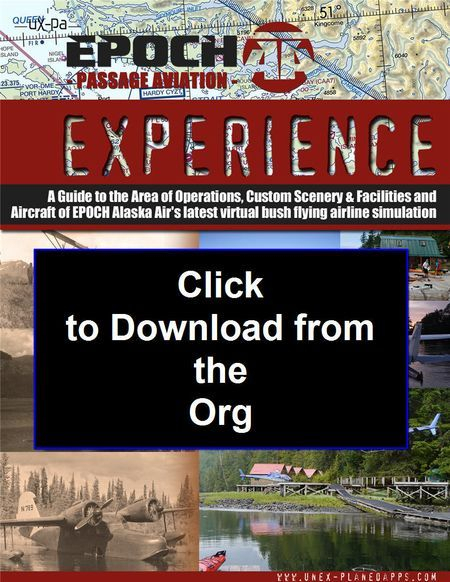 Thank you and enjoy flying scenic Western Alaska! 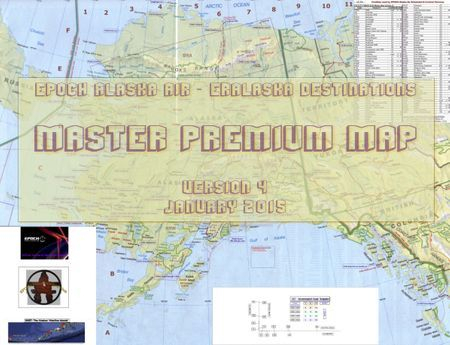 Scenery Links for ALL ERAlaska can be found in our Links Page, just off of the News Tab. 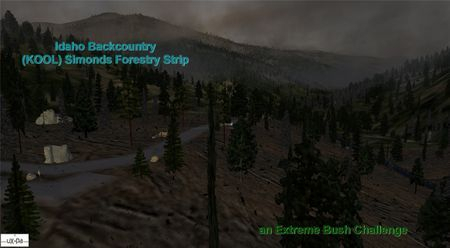 The scenery files above require a number of Scenery Libraries. 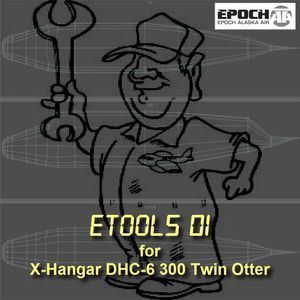 Without them, these will not work in your X-Plane Flight Simulator.